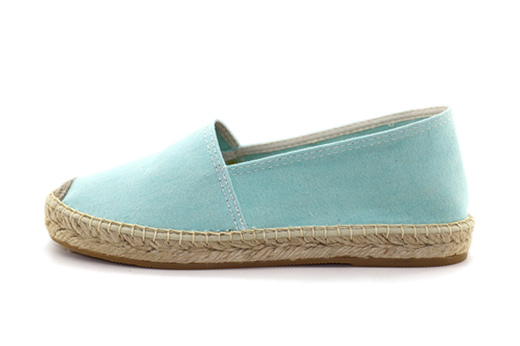 Add perpetual blue skies to your wardrobe with these cheerful women's Classic espadrilles in Aqua Blue. With a thicker sole and higher profile that the Classic Low style, our Classic espadrilles are a stylish take on the traditional wedge-heel espadrille. Handcrafted in Spain, Laro Espadrilles are made with the traditional jute sole, canvas uppers, and a durable vulcanized rubber sole.